For example, consider a retrofit using a single-ply membrane roof over an existing metal roof. Not only is the load path and metal substrate’s strength/stiffness different from original design, but the latest codes may also require higher load path values, explains Gardiner in a recent white paper, “Comparison of Retrofit Systems Over Existing Metal Roofs,” for MBMA. “Existing secondary structural members may require reinforcement at purlin laps and other structural modifications,” he writes. Additionally, the deflection criteria used for a metal building is less than that for conventionally roofed structures due to the weight of the materials used. This can create water flow issues when single-ply roofing is installed over existing metal panels. Water sheet flows across single-ply roofs, unlike metal panels where the ribs channel the water to the eave. Structural failures have resulted when water was allowed to pond on TPO covered metal roofing. Fire ratings may also be affected as metal panels are considered noncombustible, unlike single-ply roofing materials. It’s important to confirm that the building’s fire rating will not be adversely affected by use of singly-ply system. Gardiner also recommends performing a design review of the retrofit roof field, perimeter, and corner zones to both ensure the code compliance of the new roof system for both wind and snow loadings and to ensure that the existing structure is suitable to withstand the new higher loads. Confirming these comments, Getelman lists the main existing design aspects that must be considered prior to a retrofit as the underlayment, flashing details, and cost of the different roofs along with their respective longevity, durability, maintenance, and sustainability factors. When recovering an existing metal roof system, it is important to consider the age and type of structure being re-covered, according to Sagan. For example, an existing metal building with cold-formed steel secondary structural members and a 24-gauge or thinner metal panel roof system is designed much differently than a conventional structural steel-framed building with cambered bar joists and a 22-gauge or thicker steel deck. In addition, the condition of existing mechanical equipment and vent/piping penetrations needs to be taken into consideration and replacement of new membrane terminations must be considered as well. 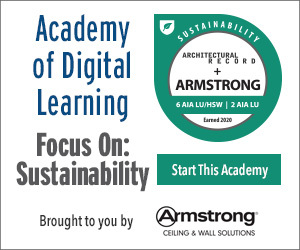 Engage a licensed professional engineer practicing structural engineering with knowledge of metal buildings to evaluate the unbalanced loads and potential water accumulation on a single-ply retrofit roof with respect to structural capacity and drainage provisions. Consult with the local building official, a licensed professional engineer or practicing structural engineering, and the single-ply roof manufacturer to confirm that the existing building’s metal roof is adequate to perform as a structural deck for a non-metal sheeted roof. Implement quality control during construction to ensure that single-ply membrane fasteners driven through insulation board layer(s) are properly engaged into secondary structural members. 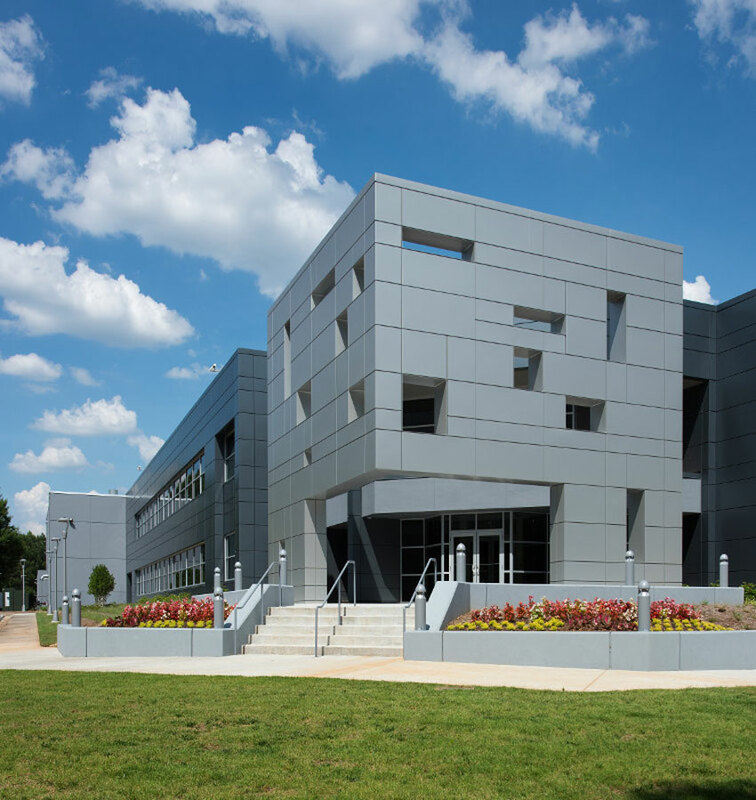 A sleek new silver metal facade replaces a dull brick exterior for Acuity Brand’s new Engineering and Technology Center in Conyers, Georgia. When Lafayette College sought to expand its Eaton, Pennsylvania, campus, the historic Hummel Lumber Building on the edge of campus was an ideal location. Meeting the college’s sustainability and energy efficiency goals, insulated metal panels were specified for this adaptive reuse project. Today, the refurbished spaces serves as office space for the college’s Facilities Plant Operations/Planning & Construction Departments and the Public Safety and Environmental Health and Safety Department. However, much work had to be done to revive the building with its original post and beam structure supporting a masonry facade which had endured several fires. For starters, the existing posts and beams were covered, so the full extent of the fire damage was an unknown. Consequently, all existing timbers and structural decking had to be exposed and assessed for structural integrity. Then the basement posts were replaced with steel columns and footings and some portions of existing timbers and flooring were replaced. To create a tight enclosure for this historically open structure, with its masonry facade and original reinforced units with minimal tiebacks and no expansion joints, an interior rainscreen wall was created to allow for a continuous air space from foundation masonry vents up to the soffit line. This way the masonry could dry from both sides. Interior insulated wall panels were built, waterproofed with a breathable liquid membrane, and installed from the interior of the building. The existing window openings were detailed for flashing and maintaining the continuous airspace while allowing reinforcement of the masonry facade by tying to the interior wall system. One of the many benefits of metal retrofits is the opportunity to incorporate additional insulation, ventilation, photovoltaics, and/or solar heat recovery into the roofing system. When retrofitting one roof over another, it is relatively easy to control the depth of the new cavity, and thus a greater depth of insulation over the existing roof can be installed, further increasing the R-Value of the roof and increasing its overall energy efficiency. Oak Ridge National Laboratories has tested the affect of incorporating an air space between new and old roofs and the energy saving advantages of venting of that cavity. A 2012 research paper titled “The impact of Above Sheathing Ventilation on the Thermal and Moisture Performance of Steep Slope Residential Roofs and Attics” by William A. Miller, Ph.D., demonstrates that as much as a 30 percent reduction in heat transference can be realized by incorporating a minimum 1-inch air space between the new and old roofing. For this metal-over-metal reroofing project at North Windy Ridge in Weaverville, North Carolina, custom-made sub-purlins provide convective ventilation through the air space between the existing and new roofs. When using a standing-seam metal roof with a photovoltaic (PV) system, building projects can potentially qualify for federal solar-energy tax credits, including a rebate of 30 percent of the entire system cost, an accelerated depreciation schedule, and a 50 percent first-year bonus depreciation with the balance depreciated over the following five years. Another important feature is the service life of a metal roof, which is significantly longer than a PV system. Dismantling the modules because the roof must be replaced is seldom an issue. Furthermore, MCA reports that mounting a solar system on a sloped metal roof can provide savings of 24 to 43 percent, as compared to a conventional roof system. A retrofit installation and 500 kW solar project on McElroy Metal’s manufacturing facility in Peachtree City, Georgia, generates power that is sold back to Georgia Power, the regional utility provider. Heat recovery can also be incorporated. These systems collect radiant-heated air and redistributes it to the building’s existing HVAC system with the assistance of a looped tubing system that carries water glycol fluid heated by the sun’s radiant heat. The solar heating can then be used to heat the building or provide hot water. To heat water, swimming pools, and/or process equipment, tubing can be routed to heat exchangers located in tanks or other types of vessels. 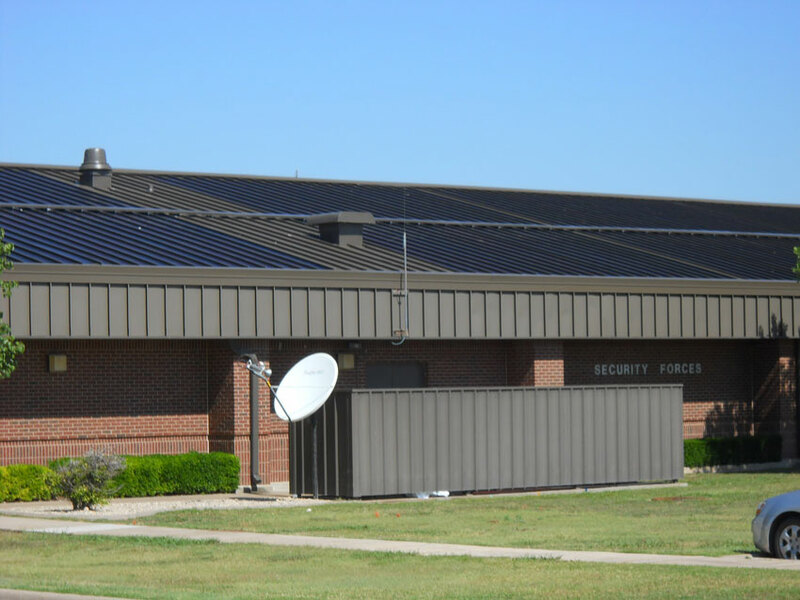 Solar-thermal technology was integrated into the retrofitted 11,900-foot metal roof cavity to optimize the energy generated for domestic hot water and for space heating at Goodfellow AFB in San Angelo, Texas.